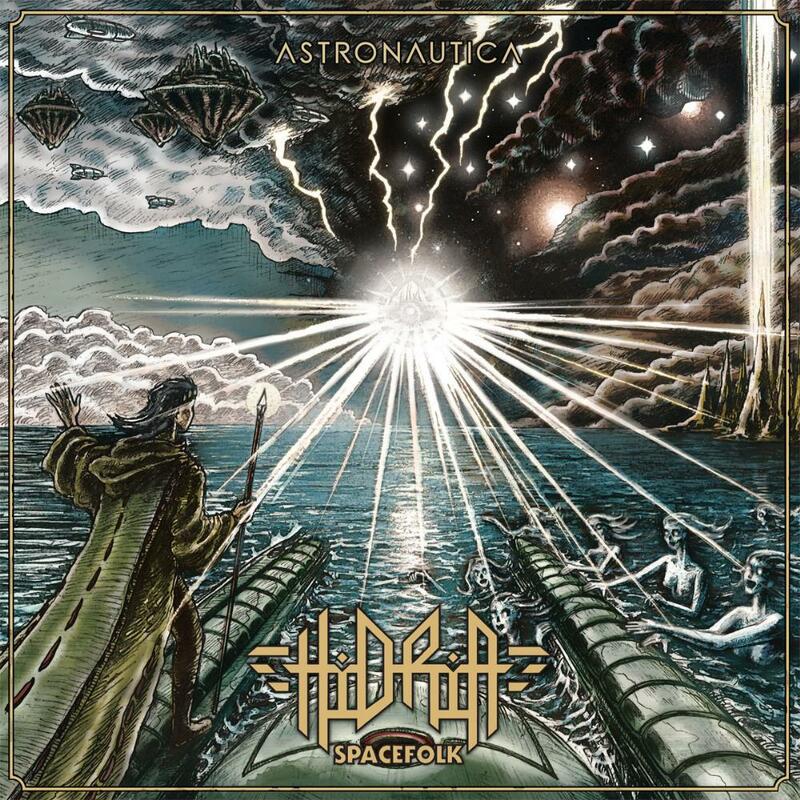 The lastest album by the Finnish masters of instrumental Space Rock is bursting with energy, and the cover art indeed suits the music very well. The opener 'Ad Astra' starts with a massive- sounding intro riff and continues in the familiar OZRIC TENTACLES -reminding trippy heights. Their sound is however harder rocking than Ozrics, with a stronger rhythm section and louder guitars. The momentarily calmer part somewhere around the sixth minute comes very handy in order to make the music feel less monotonous speeding ahead in one determined direction. 'Cycloops' is similarily mostly in high tempo with some brief slow-downs. As if the intergalactic bus is changing its passengers along the way. I continue this image of mine for the final minutes: "This is your captain speaking. There's an asteroid rain ahead and we have to use an extra protection shield." Or maybe that's not so fitting image after all, since there's no majestic arrival in the end. It's quite strange to see a Space Rock piece titled as 'Badding', which is the nickname of a bygone popular singer (mainly of the seventies, but his certain worn-out hits are still heavily played in the radio... You guess it, I really don't like Rauli "Badding" Somerjoki!). I fail to see a logical connection in the music. Anyway, this longest track (12:20) starts promisingly with jazzy flavours of electric piano and vibes / xylosynth. Also the bright guitar sound can be spotted at first, but later on the soundwall gets thicker. The vibes - or whatever - remain there nicely. In the halfway there's again a calmer moment, this time slightly longer and with delicate New Age -synths, but the return to the HAWKWIND-reminding normal (fast) speed nearly becomes monotonous by now. Equally fast piece 'Endymion' (5:55 - the shortest one) has bitingly riffing guitars and the hectic, bubbling trippiness in the OZRIC style. 'Seirenes' (11:15) continues the album's overall mood without notable changes, that is, hectic, trippy and rather thick soundwall, with those familiar slower moments along the way. I haven't yet listened to the whole HIDRIA output in order to evaluate Astronautica against it, but I have a feeling that in the earlier years there were more fresh and jazzy details in the playing. For example the flute is sadly missing here altogether. This album offers A class Space Rock on an international scale and is technically very solid, but maybe the sidesteps away from the usual formula are too scarce on the long run. Wider differences between tracks would give the album that final big enjoyment. I believe this won't become my favourite album by this band, but it's worth recommending nevertheless.